Supremacy Sports addon for Kodi brings a fresh experience to watching live sporting events, IPTV channels, replays, and even sports documentaries and movies within Kodi. 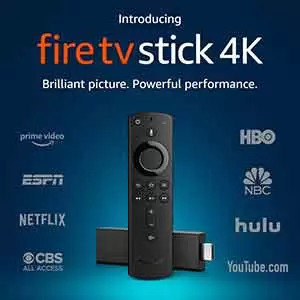 Easily find both HD and SD streaming links to suit your connection capabilities. Brought to us by the great developer and maintainer of the Supremacy Repository, this exclusively sports-oriented addon offers an impressive catalog of playlists! In this MTM Kodi addon installation article, we demonstrate how to install the Supremacy Kodi addon for access to all the great sports events you love to watch. Note that Supremacy Sports addon for Kodi relies on Plexus and SportsDevil Kodi plugins to access live streams. Some of the great sports channels provided within Supremacy Sports include BT Sports, Acestream Sports Channels, Football Documentaries, Live events, Reddit Soccer streams, Sports Channels, UKTV Sports, Boxing Replays, Sport Movies, both UKTV and USTV Sports HD, and WWE. Found in the incredible repo of the same name and managed by the one and only @steboy79, this sports streaming addon for Kodi may be the best available for sports fans of all types. If setting up a fresh install, don’t forget to enable unknown sources in Kodi before attempting to install this fantastic third-party streaming sports addon. Enter http://2supremacy.uk/repo, name it supremacy and click OK.
Go to Kodi Add-ons > Add-ons browser > Install from Zip File > supremacy. Once repo installs, click Install from repository > Supremacy Repository > Video addons. Choose Supremacy Sports then click the Install button. On the Kodi home screen at the top left, click the System gear cog icon. Then, click the File Manager in the bottom right. Next, click where it says <None>. Enter the URL carefully: http://2supremacy.uk/repo and click OK. In the text box enter the name supremacy then double check for errors and click OK.
Head back to the Kodi main menu and click Add-ons on the left. Then click the Add-on Package Installer open box icon at the top left. When the dialog box pops open, select supremacy. The Supremacy repo has installed once the top right notification lets you know that Supremacy Installed. Next, click Install from repository. The Acestream Sports channels have some of the most reliable and high-quality streams available on Kodi, but are not secure. For maximum success in streaming live sports broadcasts within Supremacy Sports, be sure to have an acestream driver installed such as that found in the Plexus addon. Acestream peer-to-peer links serve to reduce buffering and improve reliability by sharing the load with others using the BitTorrent protocol. Make sure to hide your location with a reliable VPN such as IPVanish VPN when sharing streams online with BitTorrent, as your IP address is actively provided to every client on the network. Note there is plenty of Real-Debrid goodness included in every drop of the Supremacy Sports Kodi addon offerings. Also, sports fans may enjoy the other great sports Kodi addons presented here at My True Media to complement the Supremacy Sports addon. If you experience any trouble while installing or using the Supremacy Sports addon, please reach out in the comments below. If the Supremacy Sports addon goes down or stops working, please let us know if we don’t get to it first. We will post workarounds and attempt to help get your games streaming once more. Note that the most likely cause of a Kodi ‘script failed error’ is from running an outdated version of Kodi. Make sure to always upgrade to Kodi’s latest stable version for maximum success installing addons, builds and wizards.